The generation and adoption of new technologies is not a new phenomenon, it’s been going on for hundreds if not thousands of years. There has been a great deal of study in this area, and models have been generated that help companies plan their product launches, and understand where they stand as new technologies make their way to market. There are no guarantees, but there are well developed models which have been well proven over time. Hype: Search for next big thing leads to Hype around any new technology. Struggle: Adoption of these Bleeding Edge technologies depended on the Visionaries who had the vision, energy and money to make it work. Success: Mainstream adoption required convincing the Pragmatists who needed success stories and support system around the technology. You can simplify the two models, and see their relationships by plotting Expectation and Adoption Rate against time, on a pair of graphs. The top graph maps the expectations over time – you may not recognize the exact terms used, but if you think about new technologies that you’ve seen come to market, you’ll see how the cycle of expectation maps to this diagram. The recent Reuters article ‘Smartphones Shatter Mirrorless Hopes’ would put us right after the peak of inflated expectation, and in the trough of disillusionment. The lower graph shows the adoption of new technologies over time – initially you have innovators picking up the new products, sales are low because most people are not comfortable investing in bleeding edge tech, and want to see success stories in order to feel comfortable to make the investment in a new tech or system. As sales grow you have to cross the chasm from the early adopters, to the Majority – where normal folk start to see the product as a viable option, and feel safe buying it. This is where volume of sales rises steeply, and the profitability/productivity comes. 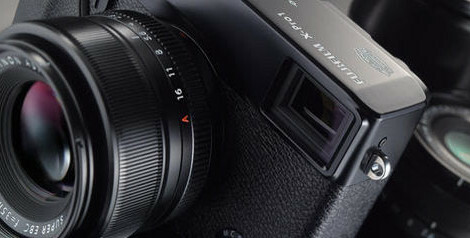 Based on the sales numbers, we’d say that Fuji are currently trying to cross the chasm – you see them injecting the market with body+lens deals to get the adoption rate up, building momentum to try and cross the chasm and get to that mainstream (majority) adoption phase. Companies are well aware of these models, so you could expect that Fuji have planed for this ahead of time, and have a strategy in place to reach profitable sales to the plateau of productivity. This is the piece that is not in the public domain – we don’t know the details of their strategy. However – for us ‘Early Adopters’ – we at least have a perspective of why we see what we see regarding sales numbers, visible numbers of cameras in the field, special sales promotions from the manufacturer, statements about profit and loss etc etc. Because without the bigger picture, you might be confused as to what’s going on and why. At the end of the day – new technology adoption rarely happens overnight – all of this takes a lot of time and money, and there’s still no guarantee of success. Some people are ok with that – they like being here at the bleeding/leading edge. Some people are uncomfortable with that – you see them post on DPR and other forums, and express their discomfort with the technology, or the products progression, or the companies performance. It’s an interesting journey – should be fun to see how it all shakes out.